Hey Everyone I know this post is a little late for my recap on last weeks convention, but I need to give a shout out to these wonderful RTG gents. 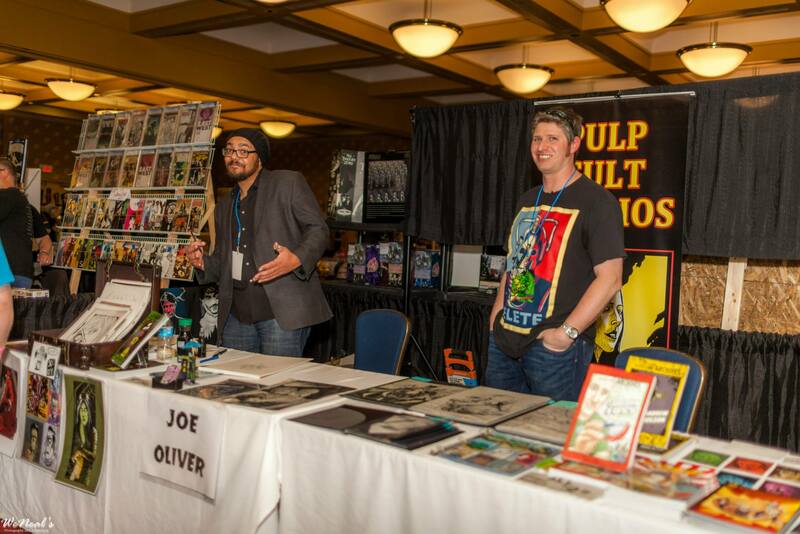 Both Joe’s rocked it last weekend at the very first Cosmic Con down in Colorado Springs. Who ever came down to support these to you are awesome and thank you. 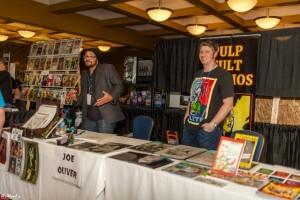 As for its first year Cosmic Con did amazing I didn’t even realize that it was its first year. It ran smoothly and the traffic flow was pretty impressive. From when I talked to both Joe Oliver and Joe Becker they both had nothing but good things about the convention. Since I was late on this recap, I’m going to let you all in on some activity’s all of Red Team Go have been doing in this past few months. 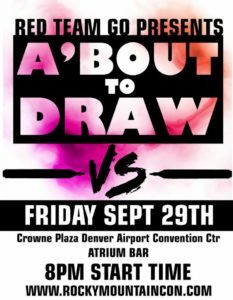 Quite a few of us have artist tables at Denver Comic Con this year and we are all kinda pushing for that Convention so we can premier a lot of COOL things as a group of local artists. We are proud community of artists that want to show our work to you and be happy that people love to see our work. What we have been working on is a lot of collaborations. Such as we all drew one red character and we are taking our characters and putting them on a banner so “everyone” can see. Also a lot of us 2 years ago started a collaboration comic that we have as a group have finely want you all to see, read, and enjoy this 3 part comic. I do think all you you will enjoy it as much as I have been enjoying seeing each page come threw my emails this past few months. (We will be releasing that comic at Denver Comic Con.) We have so much more going on that the excitement with in RTG Is vast and it consumes all of us to keep motivated and draw and come up with new ideas. Our nights that RTG meets up have been wonderful Ill have to post some pictures on my next post to show you all the proses that we do on our meet up nights. Well to rap it all up this weekend which started today is Anomaly Con. Anomaly Con is our Steam Punk convention here in Colorado. 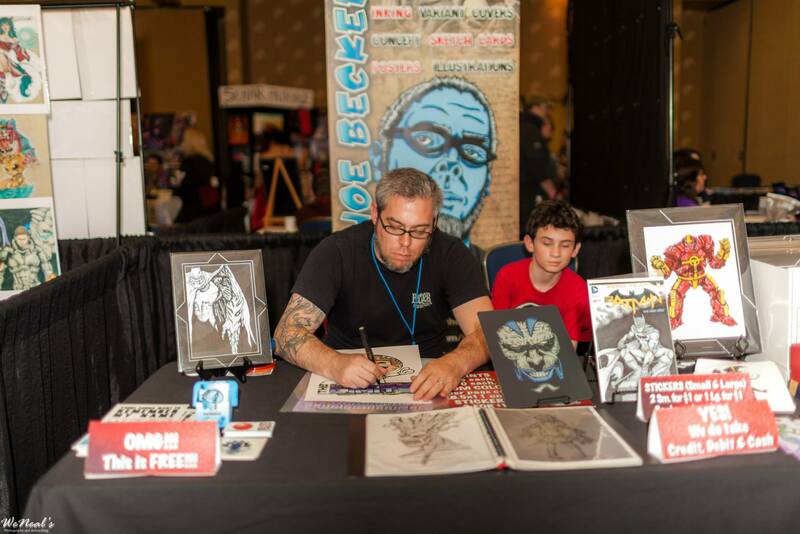 And once again we have a few artists down at the con selling there art and drawing up a storm. This weekend we have Joe Oliver, Joe Becker, Oi Bob Parks, and Guy Davis mobbing it at Anomaly Con. If you have an urge to get out of the house this weekend and go some were in this nice weather you should come on down to The Hyatt and support your favorite local artists Red Team Go (address is bellow). Well everyone that should be it for today hope you have a great weekend.